(by Marisa Schultz, New York Post) WASHINGTON — President Trump picked Army Lt. Gen. H.R. McMaster as his new National Security Adviser, one week after booting retired Lt. Gen. Michael Flynn from the post. Trump made the President’s Day announcement from his Mar-a-Lago Florida resort seated on couch between McMaster and acting National Security Adviser Keith Kellogg. Kellogg, a retired Lt. General in the Army, will stay on as chief of staff to the National Security Council. “I think that combination is something very, very special,” Trump said of the two men who have known each other for years. “I look forward to joining the national security team and doing everything I can to advance and protect the interests of the American people,” McMaster said. Trump asked for Flynn’s resignation a week ago, after he misinformed Vice President Mike Pence about his conversations with the Russian ambassador about US sanctions. 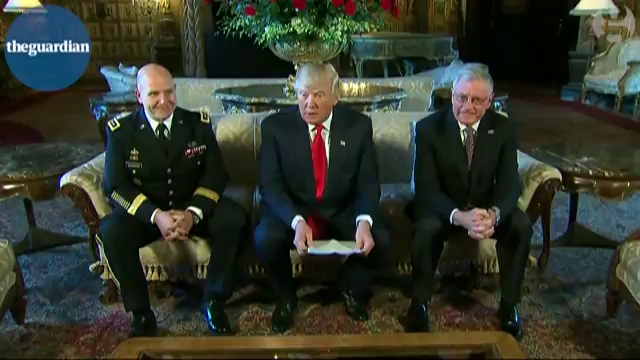 …Over the weekend at Mar-a-lago Trump met with four candidates: McMaster, Kellogg, former United Nations ambassador John Bolton and West Point superintendent Lt. Col. Robert Caslen. Trump said he was impressed with the candidates and he intends to offer a different role to Bolton, who was a staunch backer of the Iraq War. “We’ll be asking him to work with us in a somewhat different capacity,” Trump said. McMaster is a decorated career Army officer who served in the Persian Gulf, Iraq and Afghanistan. He was captain of a great tank battle victory in the Gulf War known as the Battle of 73 Easting. 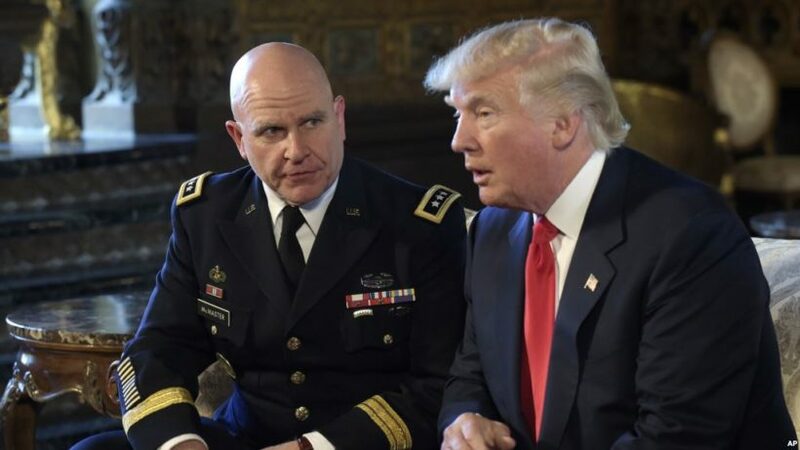 Since 2014, McMaster has served as Director of the Army Capabilities Integration Center and Deputy Commanding General, Futures, at the US Army Training and Doctrine Command. In April, McMaster warned senators the US Army is too small and lacks modernization to keep up with the current threat level. 1. What is the role of the National Security Advisor? 2. a) Who is the new National Security Advisor? b) What did President Trump say about him? 3. List at least 4 facts you learn about him from the article. 4. What did McMaster say about his appointment? 5. What warning did McMaster give to senators in a subcommittee hearing in April? 6. See “Background” and “Resources” to learn about the National Security Advisor and about Lt. Gen. McMaster. Whether you support President Trump or not, do you think McMaster is a good choice for this position? Explain your answer. The president’s selection of H.R. McMaster to be his new national security advisor is unambiguously good news. The United States, and the world, are safer for his decision. In between, he earned his Ph.D. in history and wrote a best-selling book, Dereliction of Duty. … One thing that stands out in the book is the way in which McMaster criticized the poorly disciplined national security decision-making process in the Kennedy and Johnson administrations, and especially the way in which the Kennedy administration made national-security decisions by a small group of confidants without a robust process to serve the president. …McMaster comes to his job having carefully studied and criticized the national-security decision-making process for which he will now be responsible. I have known McMaster for over a decade and cannot imagine a more decent man in his position today. Read about the Battle of 73 Easting at wikipedia.